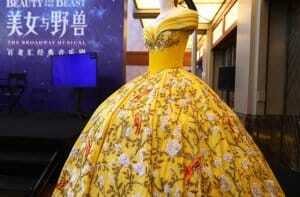 Shanghai Disneyland Resort is debuting its new Broadway musical, Beauty and the Beast. 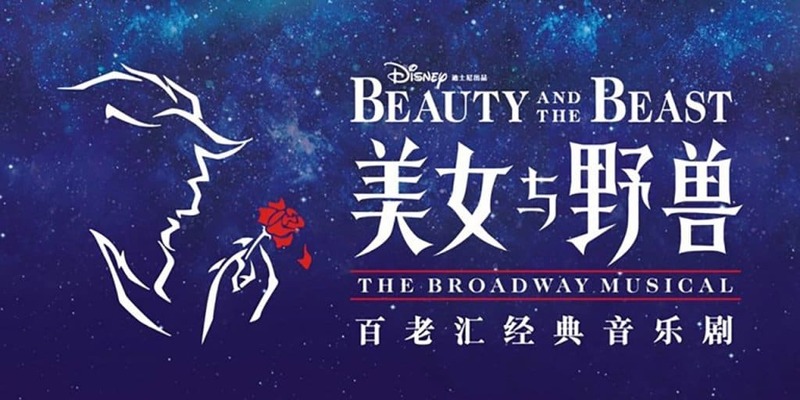 For the first time, the show is performed in Mandarin and portrays the classic tale with new Chinese additions to the setting and style. 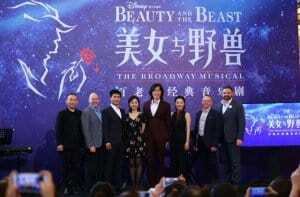 To create the new Mandarin version, over 80 Chinese performers and a predominantly Chinese crew were found through six months of auditions and recruitment across China. 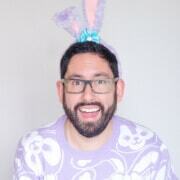 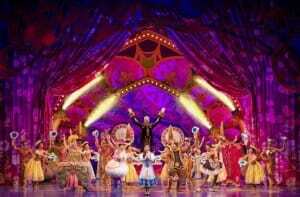 The original Broadway creative team, including Rob Roth (Director), Michael Kosarin (Music Director), and Matt West (Choreographer), returned to produce the show with the local cast and crew. 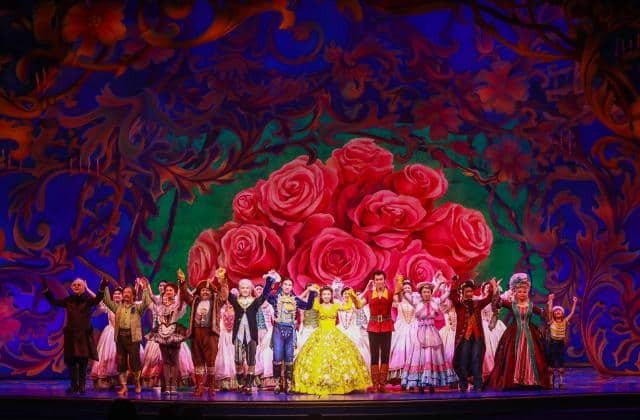 Award-winning costume designer Ann Hould-Ward returned to the production to design Belle’s iconic ball gown, while original designer Stanley A. Meyer produced the sets. 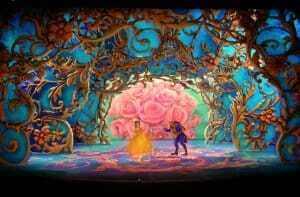 Beauty and the Beast premiered on June 14, before opening to the public the following day. 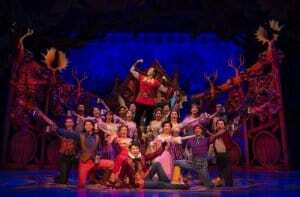 The show is staged in the 1200-seat Walt Disney Grand Theatre in the Resort’s shopping and entertainment area, Disneytown. 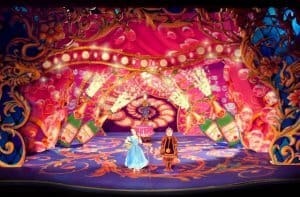 Tickets are available now on the Shanghai Disney Resort official website. 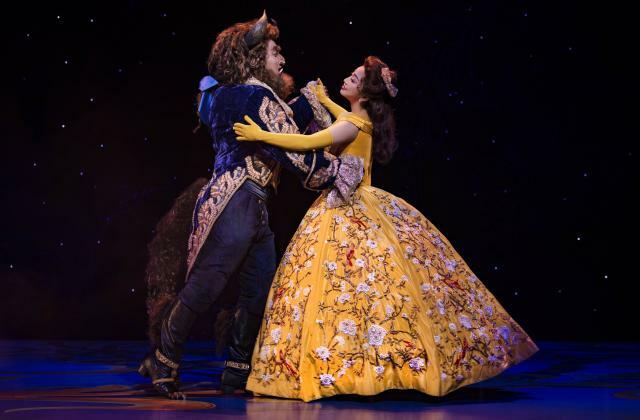 Beauty and the Beast follows the Mandarin version of the Lion King, which debuted in June 2016, but struggled to sell tickets across its 500 performance run before closing in October 2017. 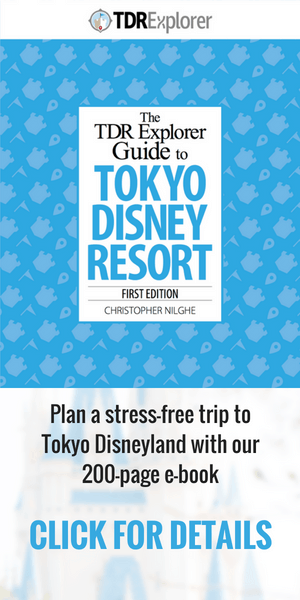 Information and images are from the Shanghai Disneyland Resort website.